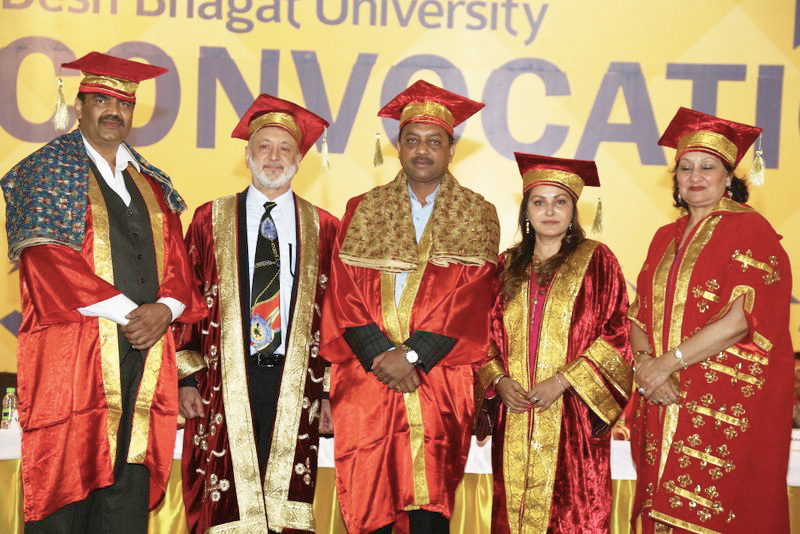 Desh Bhagat University and Desh Bhagat Group of Institutes held its Convocation-2015 on Saturday leaving behind everlasting memories. 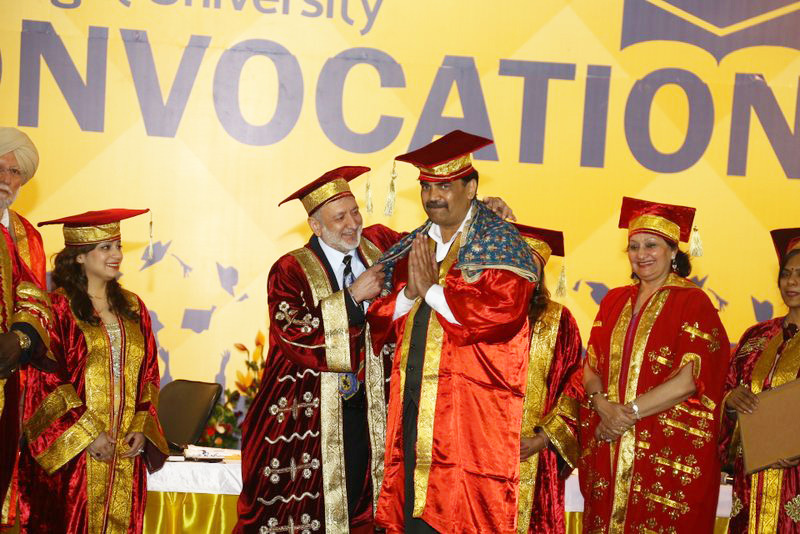 About 800 pass outs of the university and the group belonging to different streams participated in the convocation and received their degrees and medals. The students who have performed excellently during their academic year in sports and other co-curricular activities were especially honoured with medals and certificates. Addressing the graduates and the mammoth gathering present on the occasion, University Chancellor Dr. Zora Singh said that the youth should keep learning throughout their lives, not for only examination but for the love of learning. The aim of education, he said, is the holistic development of the personalities of the students. He urged the youth to keep away from all kinds of drugs and contribute in the development of our country. On this occasion, Desh Bhagat University conferred Ph.D. (Honoris Causa) degree for Performing Arts on eminent film personality and silver screen star Ms. Jaya Prada. Chancellor of Venkateshwra University, Arunachal Pardesh Sh. 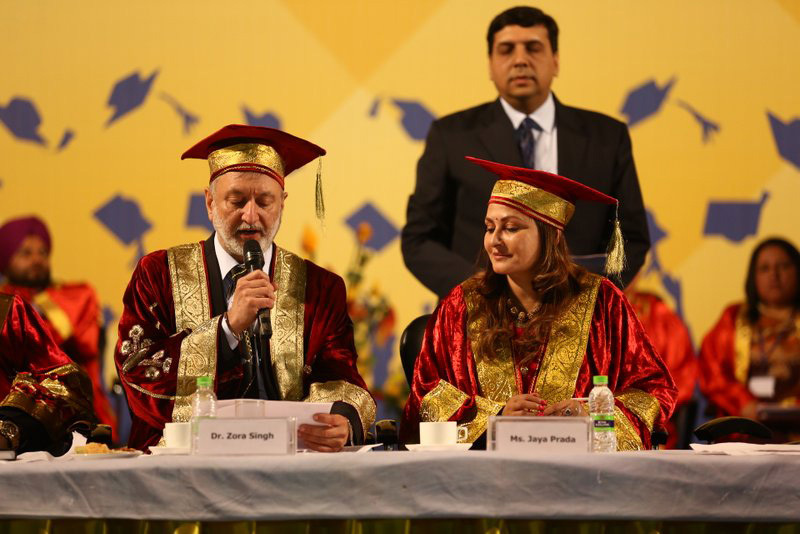 Sudhir Giri, and Chancellor of OPJS University, Rajasthan Dr. Joginder Singh were also conferred honorary Ph.D. degrees. 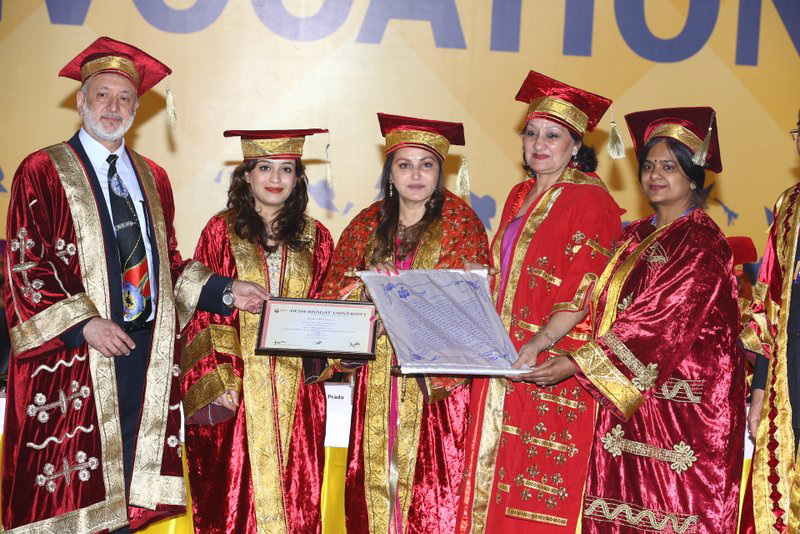 Pro Chancellor of Desh Bhagat University Ms. Tejinder Kaur welcomed Guests of Honour as well as all other guests and read Citations about Ms. Jaya Prada and the other recipients of the honorary degrees. Highlighting the contribution made by Ms. Jaya Prada in the development of Indian cinema, she declared that her performance has always been exceptionally remarkable. She also eulogized the contribution of Sh. Sudhir Giri and Dr. Joginder Singh in the field of education. She also declared that by accepting the Ph.D. degrees from Desh Bhagat University, these personalities have become its alumni. Ms. Jaya Prada also interacted with students of the Faculty of Performing Arts. 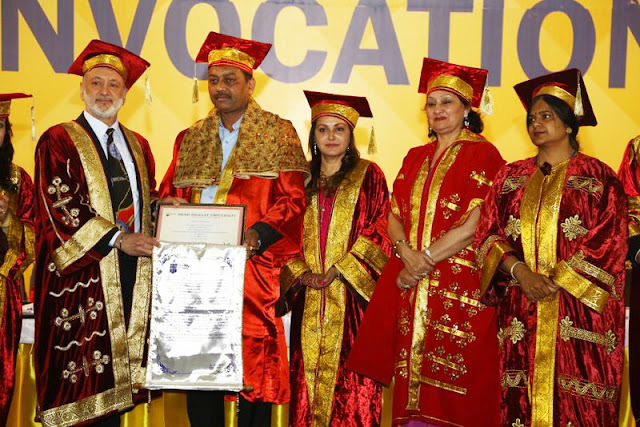 All the three recipients of honorary degrees thanked the University for recognizing their contribution to the society and honouring them for the same. Vice Chancellor of Desh Bhagat University Dr. Shalini Gupta read the academic report of the university and highlighted its achievements.Â She said that it is another historical day for Desh Bhagat University and Desh Bhagat Group of Institutes to organise this big event. Dr. Gupta said that we have highly esteemed personalities among us and their words of wisdom will continue to inspire the faculty and the students for all times to come. Mr. Deepak Vohra (Special Advisor to Prime Minister Lesotho and Guinea-Bissau), Daniel Peter Othol (Ambassador of the Republic of South Sudan), Bothath Tsikoane, (High Commissioner for Lesotho) and Dr. Remacle Maswaku Gatela (First Counsellor, Democratic Republic of Congo) graced the event as Guests of Honour. Â While thanking all present, university Pro Vice-Chancellor Dr. Shantnu Chatterjee observed that this convocation will be marked in the annals of the university as a golden day and the university feels proud by honouring these personalities. Registrar Dr. Virinder Singh, Director Academics Dr. Rajesh Goyal, Directors of different faculties, staff members and a large number of old as well as present students attended the function.